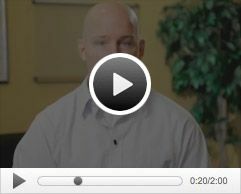 Check Out Our Intro Video to the Right For our Internet Special and save $$$! Why Choose Northern Lights Chiropractic? Thank you for taking the time to consider our office for your Chiropractic care. When it comes to choosing the right Chiropractor, you have to consider your own values, personal health goals and the objective of the Chiropractor. If those things are all aligned, it makes for a positive, life-changing experience. You already know your values and health goals, so allow us to share ours. 1. Little to no waiting: I hate unnecessary waiting, and likely, so do you. It seems most doctors make you wait to create the illusion that they're busy and to make you feel like their time is more important than yours. The bottom line is, your time is just as important as mine. Therefore we've created an environment with virtually no waiting. If you value your time, you'll love our office. 2. Complete Care: What are your health goals? It's a crucial question that many people never consider. Without answering this question, it's highly unlikely you'll ever achieve great health. Do you want to be at your best all the time, or are you okay with just sort of getting by? If you want to be at your best, then your nerve system must be working free of interference. It's your nerve system that makes your heart beat, lungs breathe, controls your immune system and every other aspect of your health and body. Problems occur when the bones of your spine move out of alignment and interfere with the signals from your brain to your body. In this state it's impossible to be at your best. The goal of our office is to make sure your nerve system is working at its best all of the time. The only way to do so is to have your spine checked on a regular basis. You'll probably brush your teeth and change the oil in your car forever. Why then wouldn't you maintain the health of the one system in your body that controls everything else? I don't know of a chiropractor, including myself, that doesn't plan on having their spines checked for the rest of their life. I wouldn't recommend anyone to do something I don't do myself. 3. State of the art technology: Because our only goal is to maximize the function of your nerve system, we have the best technology available to test it. With our computerized nerve scans you can be sure that you're getting the most appropriate care. When it come to the health of your nerve system we never want to guess, and these tests allow us to eliminate the guess work. 4. No Empty Promises: More and more it seems doctors are willing to say anything to get you to follow their recommendations. As I have mentioned above, at Northern Lights Chiropractic we have one goal: to maximize the function of your nerve system, so your body can function at its full potential. While people who come to our office often do have pain/symptoms improve, we do not treat back pain, neck pain or any other pain or symptom. There are countless causes of pain and symptoms, sometimes even a poorly functioning nerve system. Since I cannot be 100% sure what is causing a person's symptoms, I choose not to treat symptoms. The one thing I can be 100% sure of however, is that you are always better off with a healthy nerve system. If the above principles, values and goals match yours, you're simply going to love our office. We can't wait to meet you and look forward to helping you on your journey to a healthy life!